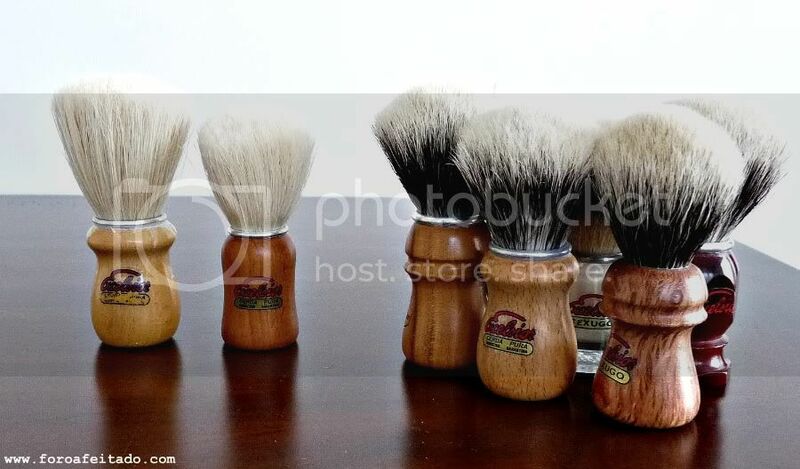 Another Semogue shaving brush collection. Long life to Mr Gomes and Semogue!!! Wow, I don't think that I have ever seen such a big collection of Semogues before!!! 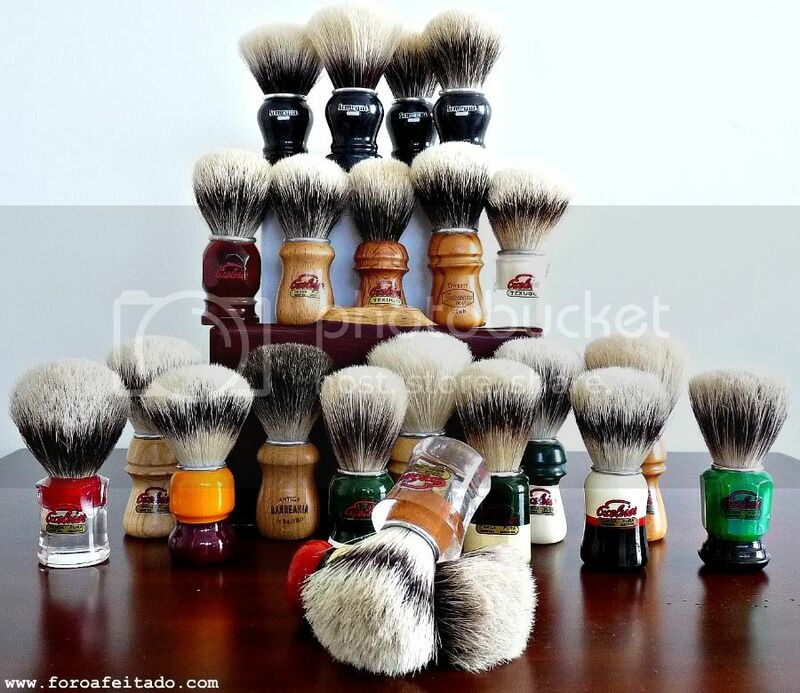 Am I right in thinking that you have almost every current Semogue model in your collection Teiste? (04-04-2012, 10:22 AM)ajc347 Wrote: Wow, I don't think that I have ever seen such a big collection of Semogues before!!! No my friend,the LE2008 is missing here as well as some boar brushes like the 620 or the 1250. However I have a couple prototypes as well as some old models,like the 1550. Holy cow!!!!! I give up. Very nice Teiste. What would you say is your favorite boar & badger from Semogue? (04-04-2012, 10:46 AM)Johnny Wrote: Holy cow!!!!! I give up. What a collection! I love it! No my friend,dont give up yet! (04-04-2012, 11:05 AM)SharpSpine Wrote: Very nice Teiste. What would you say is your favorite boar & badger from Semogue? The Semogue Caravela and the LE 2010 selected silvertip badger. (04-04-2012, 11:17 AM)oversaturn Wrote: What a collection! I love it! Hey,I was inspired by you! You gave me your favorite badger, your favorite badger/boar combo, but not your favorite all boar brush. Beautiful, Teiste! I just received my FIRST Semogue (and boar brush ) and am already starting to see the appeal. (04-04-2012, 11:45 AM)SharpSpine Wrote: Teiste, you cheated. Wow, you have 4 of the 2011 LE. I really, really like the look of those brushes. I'm not a fan of dying the boar - I think it looks quite nice naturally (or bleached I guess) but the way it's been dyed is really nice. I had the opportunity to pick one up that I found on a website but figured the <$30 SOC was a better choice on something I wasn't sure I'd like vs. ~$75. (04-04-2012, 12:38 PM)Brent Wrote: Wow, you have 4 of the 2011 LE. I really, really like the look of those brushes. I'm not a fan of dying the boar - I think it looks quite nice naturally (or bleached I guess) but the way it's been dyed is really nice. Those are the protos of the 2011 LE edition : they dont even have a number of type of bristle writing on the handle. I'd love to hear your impressions of the 820. The joke was that you would have to live to 150 to need more brushes ever again, but now you will have to live to 100 just to break them all in! I have the red 820 and it's SOOOOO much better than the black 820! Fantastic collection Teiste! You and Emanuel are the ultimate Semogueros! (04-04-2012, 01:40 PM)reyrascon Wrote: Fantastic collection Teiste! You and Emanuel are the ultimate Semogueros! Have you seen Sore's collection? Very nice collection sir, I'm envious. As of right now I've only got a 1305, and a 1520. (04-04-2012, 04:26 PM)chevyguy Wrote: Very nice collection sir, I'm envious. As of right now I've only got a 1305, and a 1520. 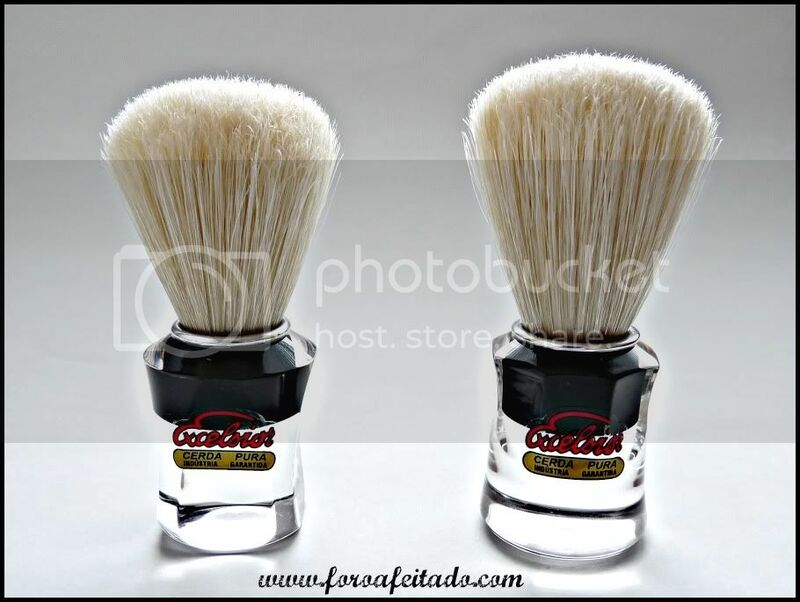 And those are brilliant shaving brushes! Wow! That is an impressive collection, Teiste. BTW - Thanks for all you have done to help make the world aware of Semogue brushes. You have done a lot of good for a lot of wetshavers.